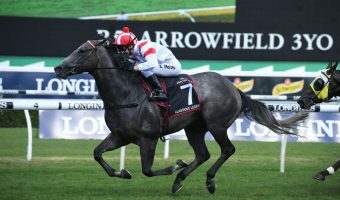 The Anthony Freedman trained Santa Ana Lane has earned a start in the 2018 Stradbroke Handicap after claiming victory with his powerhouse finish in last Saturday’s Group 1 $1m Darley Goodwood (1200m) at Morphettville. 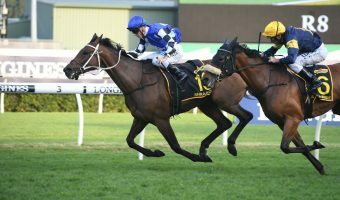 Goodwood winner Santa Ana Lane, above in blue colours, will head to Brisbane for the 2018 Stradbroke Handicap at Doomben. 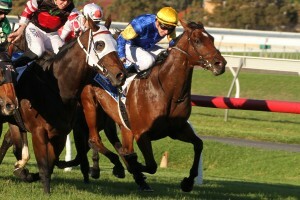 Photo byJenny Barnes. 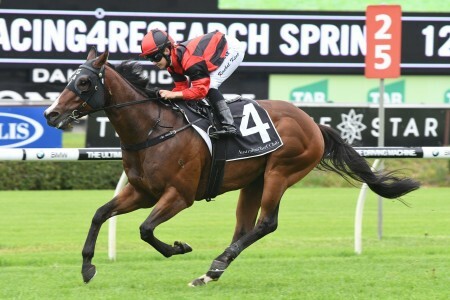 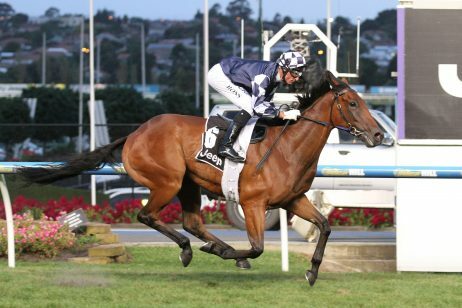 Freedman confirmed a trip to Queensland for Santa Ana Lane to join his stablemate Mr Sneaky to contest the Group 1 $1.5m Stradbroke Handicap (1350m) at Doomben on June 9 after the five year old claimed his second Group1 trophy with his win over Missrock in the Goodwood. 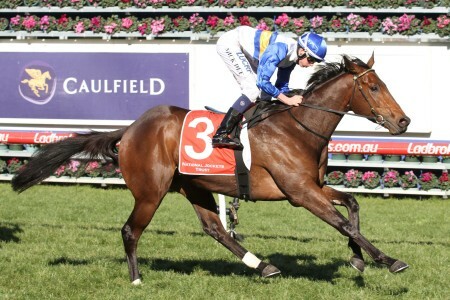 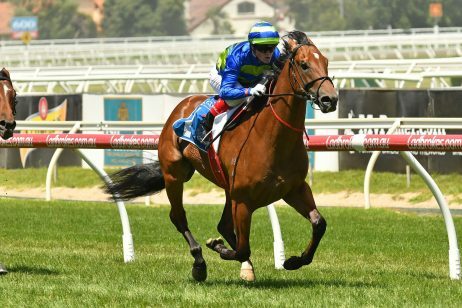 Santa Ana Lane had claimed a maiden Group 1 win during the 2017 Melbourne Spring Carnival with a victory over his stablemate Mr Sneaky in the Group 1 $500,000 Keno Sir Rupert Clarke Stakes (1400m) at Caulfield. 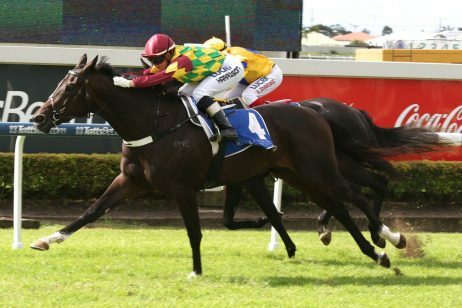 Freedman will take Santa Ana Lane back to Melbourne before organising a flight to Brisbane to join Mr Sneaky who is already campaigning in the Sunshine State. 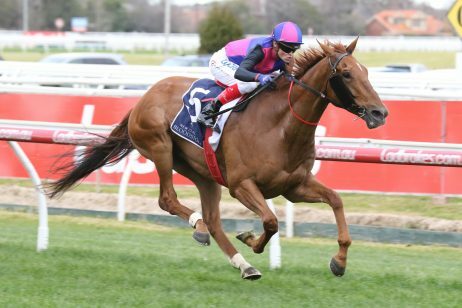 “He’ll spend a few days in a paddock and then we’ll take him to Flemington and then hopefully get a flight to Brisbane,” Freedman told Freedman told RSN 927’s Correct Weight. 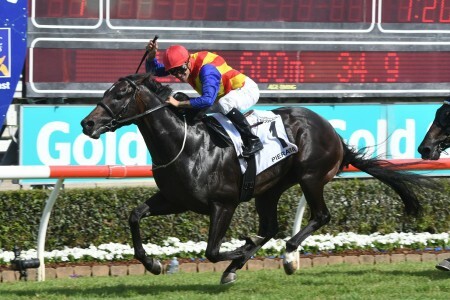 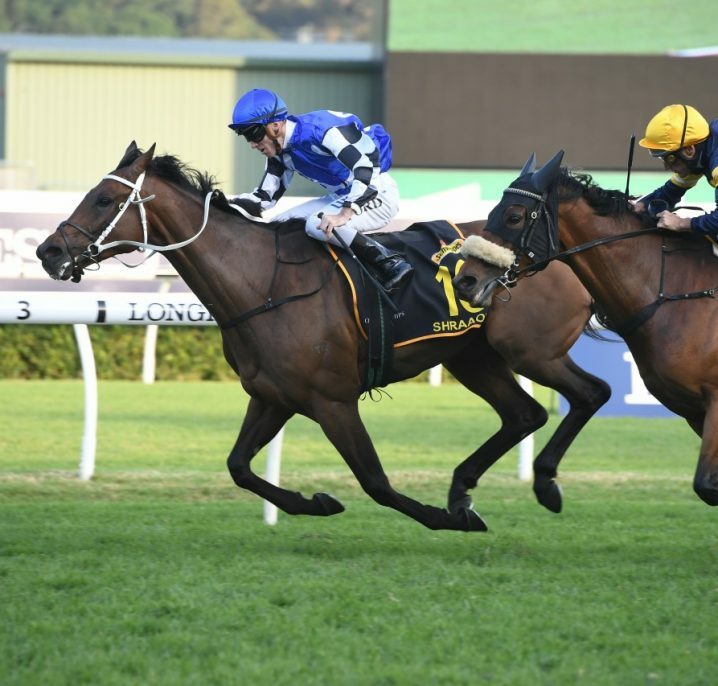 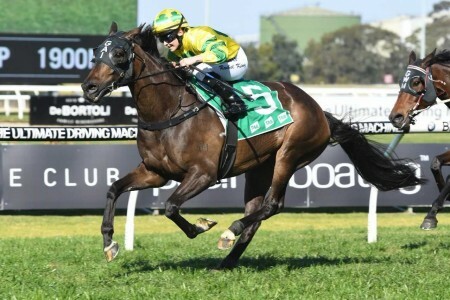 Mr Sneaky has already started his Brisbane Winter Carnival campaign with a third on Saturday to I’m A Rippa in the Group 3 $125,000 Flight Centre BRC Sprint (1350m) at Doomben. 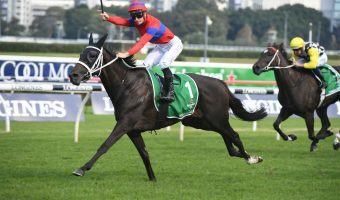 Freedman said that Mr Sneaky wasn’t really at home on the tight Doomben circuit and he is also thinking that Santa Ana lane won’t be completely comfortable as well. 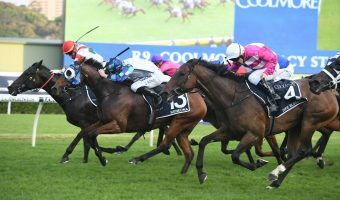 “Doomben’s a tricky little track, it may not be perfect for him (Santa Ana Lane) but he’s entitled to take his place in the race,” Freedman said. 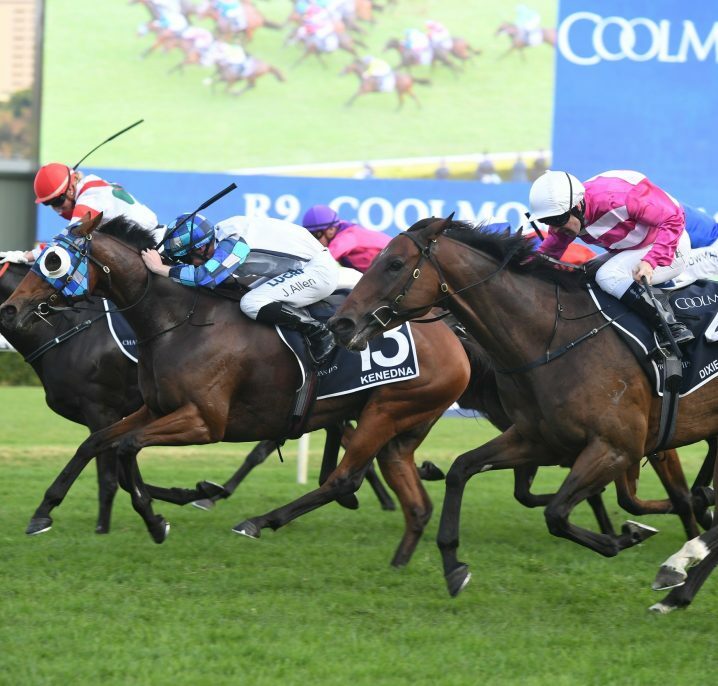 “I’m not sure he loves Doomben, but he ran well yesterday. 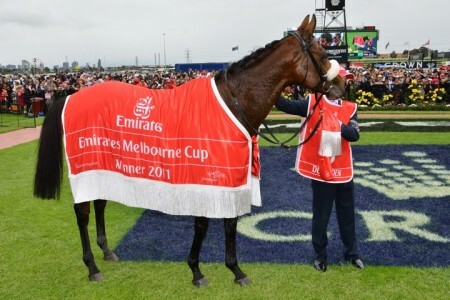 “He’s a horse that needs to draw well, and needs to be covered away for most of the race and used late in his races. 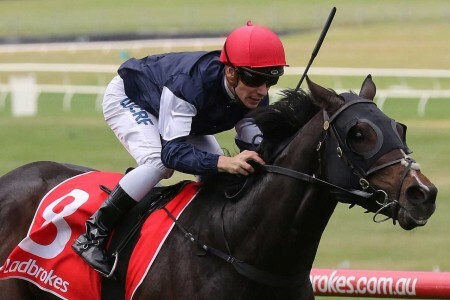 Early betting for the 2018 Stradbroke Handicap at Ladbrokes.com.au has Santa Ana Lane marked at $17 while Mr Sneaky is listed as a $21 chance. 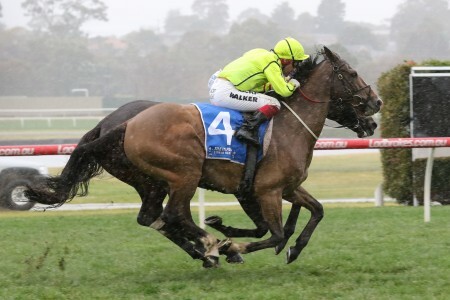 The Bjorn Baker trained filly Champagne Cuddles sits at the top of the market order at $7 just ahead of the Matt Dunn trained Care To Think and last year’s winner Impending at $8. 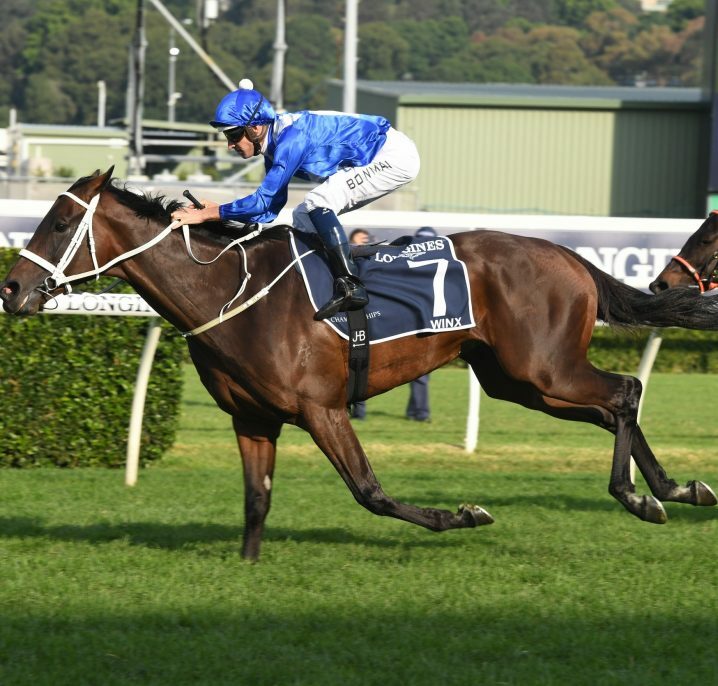 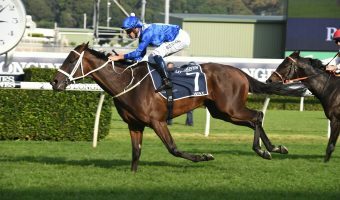 Early betting for the 2018 Stradbroke Handicap at Ladbrokes.com.au: $7 Champagne Cuddles, $8 Care To Think, Impending, $10 In Her Time, Osborne Bulls, $11 Le Romain, $13 English, $17 Invincible Gem, Land Of Plenty, Most Important, Prompt Response, Sambro, Santa Ana Lane, Spieth, $21 Crack Me Up, Danon Liberty, Mr Sneaky, Peaceful State, Perast, Ulmann, Volpe Veloce, Whypeeo. 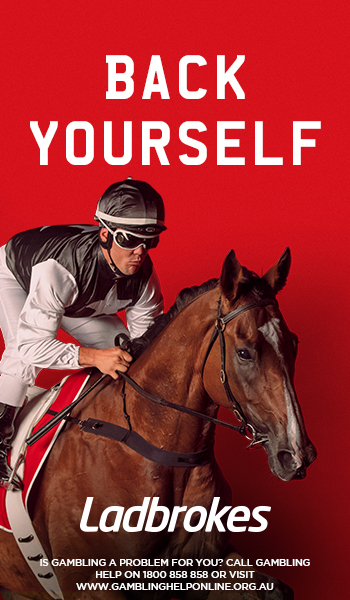 $26 or better the rest.